Officially, St. Patrick’s Day is the Roman Catholic feast day celebrating St. Patrick, who is credited with converted Ireland to Christianity. However, in the United States in the 20th century, St. Patrick’s Day has morphed into a celebration of Irish pride and all things Irish. Even out west, where America’s Irish population is much smaller per capita than it is in the east, St. Patrick’s Day is celebrated with great enthusiasm. This is especially true in the biggest cities, which roll out the green carpet every year for this most American of Catholic feast days. The city of San Diego lays claim to having the largest St. Patrick’s Day Parade and Festival in the western half of the United States (The Complete Pilgrim could not verify if this was correct, but hey, Google is probably trustworthy). Organized by the Irish Congress of Southern California, the San Diego St. Patrick’s Day celebration has been running strong for nearly forty years. The parade route runs close to the city’s magnificent Balboa Park, and is followed by the popular and family friendly Irish Festival. Thousands of Irish immigrants flooded into the San Francisco area during the days of the Gold Rush. The city’s first St. Patrick’s Day parade followed just a few years later, in 1852, and has been an annual tradition ever since. Organized by the United Irish Societies of San Francisco, this traditional parade runs down Market Street through the very heart of the city. It is usually followed by a St. Patrick’s Day Festival (as of the time of this writing the festival was cancelled for 2019). San Francisco also boasts several popular St. Patrick’s Day Pub Crawls. Since St. Patrick’s Day has become one of America’s favorite party holidays, this list would not be complete without mentioning the nation’s party capital, Las Vegas. Here the holiday is stripped of any religious or historic context, and there is no big civic parade. However, there is a massive, Irish themed multi-day party held down on Fremont Street (really no different than any other busy night on Fremont, just with more green). 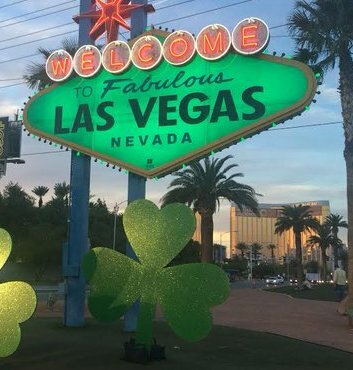 Many of the hotels on the Las Vegas Strip also host special St. Patrick’s Day events. Okay, I know that there will probably be some complaints about this one, as there are fantastic pub craws everywhere on St. Patrick’s Day. But in addition to the city’s traditional crawls, Seattle boasts a special one: The St. Patrick’s Day Dash. Technically more of a race than a pub crawl, it involves a 5k run through downtown Seattle from one barstool to another barstool. Thousands have participated annually over the course of more than thirty years, with many taking the run seriously, and others less so (wink). A more recently devised crawl, known as the Lepre-Con, invites attendees to dress up in their traditional Irish best. Leave it to the health conscious folks of Colorado to turn St. Patrick’s Day into an excuse for extra exercise. The Dash in Seattle notwithstanding, some of the best St. Patrick’s Day races in the United States are to be found in Colorado. There is the Shamrock Stampede in Castle Rock; the Sharing of the Green in Fort Collins; the Luck of the Irish in Steamboat Springs; and the Lucky Laces and the Running of the Green, both in Denver. Feel free to top off the race of your choice with one of the state many famous bar crawls.